Will Smith plays a future homicide detective in Chicago during the year 2035. He does not like robots after he lost a little girl that he attempted to save from a car that plunged into a river. Before he could reach her, a robot which was programmed to rescue and assist humans, swept him out of the water and left the little girl behind because she was less likely to survive than he was. The logic based decision that the robot made to save him instead of her had haunted him ever since. The story unfolds when something is amiss with the robots as they ignore their programming to serve humans and suddenly take the city under siege. They are dangerous with red glaring eyes and do not hesitate to kill any humans defiant to being taken hostage. 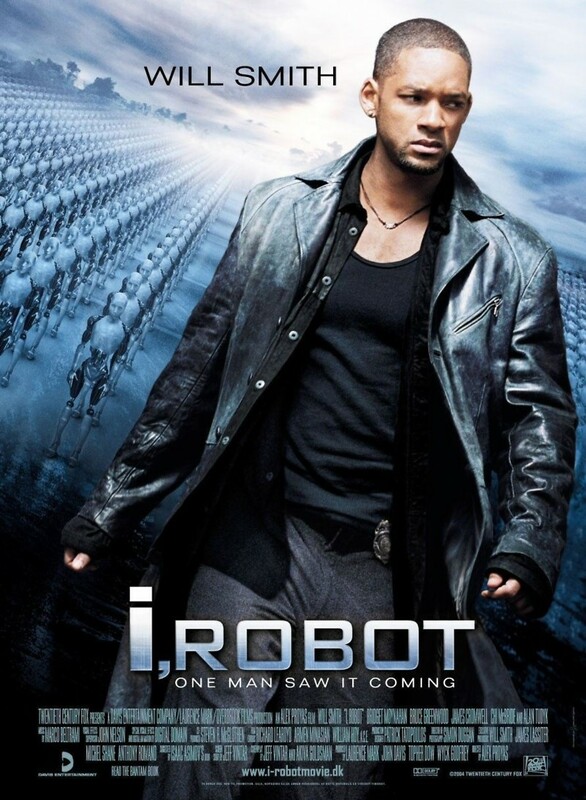 The detective struggles to take the city back by enlisting the help of a robopsychologist, played by Bridget Moynahan, who creates programs and performs maintenance of robots where they are manufactured. One of the robots that she was examining, named Sonny, is able to think for himself and feels empathy for the humans. He becomes their best hope against the masses of threatening robots. The three become unlikely friends as they work together in this action packed movie to save the city.